Does Medicare Provide Benefits for a Routine Eye Exam? Traditional Medicare only provides for medical eye exams. Medicare does not cover Refractive Eye Exams. Refraction is the part of the exam that determines your glasses prescription. If you have a medical eye condition (or systemic condition that affects the eyes) such as glaucoma, cataracts, or diabetes then Medicare will cover the medical eye exam. If you desire a glasses prescription in addition to the medical eye exam then you will be responsible for the refraction fee. We charge $30 for a refraction. Will Medicare pay for my glasses or contacts? Traditional Medicare (Part B) provides for eye glasses or contacts only if you have had cataract surgery during which an intraocular lens was placed into your eye. Medicare will cover a standard pair of un-tinted prescription eye glasses or contacts if you need them after surgery. We are not currently contracted to provide the glasses benefits through Medicare. Our Dallas office is a contracted Medicare DME provider and can provide this benefit if you are eligible. 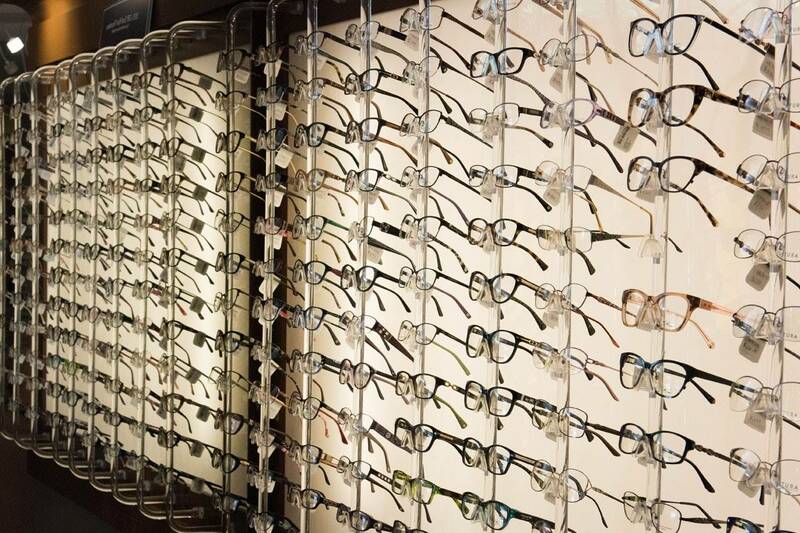 If you have a Medicare Complete, Part C, Medi-Gap, or a Medicare Advantage plan then you may have opted into additional coverage for vision benefits. Examples of plans that include separate vision benefits for routine (refractive) eye exams, glasses or contacts are United Healthcare AARP Medicare Complete and Humana Medicare Advantage plans enrolled in optional vision coverage. These are just two examples of the hundreds of Medicare plans on the market today that offer add on vision coverage. When you call to make an appointment be sure to provide all of your insurance information including any secondary coverage and provider relations phone numbers on the back of your insurance cards. It may take us 48-72 hours to verify all of your eligibility and benefits information, so we ask that you schedule in advance of your desired appointment time for all non-emergent appointments. I did not see my Medicare Secondary provider on the list of insurance plans that you are in network with? We are able to accept any secondary insurance plan that is approved by Medicare, even if we are not a contracted provider for commercial payers. In other words, we would not be able to see someone in your family who is insured with Tri-care as their primary insurance because our doctors are not in network, but if this is your secondary insurance and your primary is traditional Medicare, then we may accept the assignment of benefits for the 20% that traditional Medicare does not provide for because we are an in network provider with Medicare. The same is true with Medicaid: We are NOT IN NETWORK with Medicaid to provide routine vision or medical services to patients when Medicaid is their primary insurance. Nor are we contracted with any of the other Medicaid providers in Texas such as CHIP or Texas Star. The only time that we are able to bill services to Medicaid is when a patient has traditional Medicare (part B) as their primary and Medicaid as their secondary. If you have any additional questions about your Medicare Coverage, please feel free to call our office 972–901–2727 during normal business hours and ask for our insurance department!